My clients are focused on expanding their businesses and minimizing conflict in an industry where the rules of the game are always changing, competition is fierce and disputes are often unavoidable. They trust me to treat their problems as if they are my own and help them make the right decision when the future is on the line. Whether it’s resolving high-stakes litigation or closing a multi-million-dollar contract, my clients sleep better at night knowing I’ll be there to protect them no matter what challenge they face along the way. Clients throughout Texas, the U.S. and abroad rely on J.P. Vogel to guide them through every phase of sophisticated, time-sensitive commercial construction projects and resolve disputes when they don’t go as planned. Leader of the Construction Practice Group, J.P. focuses on brainstorming new ways for clients to seize opportunities and overcome challenges – whether he’s helping an international company manage the chaotic construction of a Gulf Coast industrial facility, negotiating the high-leverage construction contracts for an office building project or defending clients stuck in the midst of complex construction defect litigation. His clients are major players across the entire industry, including owners, general contractors, specialty subcontractors, suppliers and manufacturers. As clients grow and their projects become more complex and risky, J.P. and his deep bench of construction lawyers are there guiding and protecting them every step of the way. When their needs go beyond everyday construction law and require a multi-disciplinary approach, J.P. relies on the firm’s full-service capabilities – labor and employment, collections, tax, corporate governance, regulatory, wealth preservation and generational transition planning plus much more – and leads a hand-picked team dedicated to achieving the client’s precise goals. While J.P.’s clients value his ability to solve problems after they’ve already taken shape and damage control is the only option, where he truly makes an impact is when a project is already underway, a problem is just starting to develop, and the client trusts him to find the right solution before it’s too late. This proactive approach often requires J.P. to look beyond the contract and find a creative strategy that not only enables the project to move forward, but also minimizes risk and gives the client peace of mind knowing he explored every alternative. Always mindful of how his words and actions reflect on clients and the firm, J.P. takes a professional, no-nonsense approach to solving problems that streamlines the process and helps remove emotion and unnecessary conflict from the equation. By avoiding aggressive gamesmanship that wastes time, escalates costs and distracts from the real issues at hand, he’s able to minimize uncertainty and keep all parties focused on the primary goal – resolving the dispute or closing the deal. Represented a Texas-based general contractor in arbitration against sub-contractor terminated for delay in performance and sub-contractor’s surety. Representation of Houston based mitigation contractor regarding disputes on 15 different construction Projects resulting from Hurricane Ike. Representation resulted included the filing of mechanics and materialmens liens on each related Project. Represented Canadian based contractor in the perfection and collection of more than 100 separate mechanics and materialmens liens filed against multi-story condominium complex. Represented one of the nation’s largest steel fabricators in payment dispute with defaulted prime contractor on interstate highway expansion project. Representation included the perfection of multiple payment bond claims and the negotiation of payment to client in excess of $12 million. Represented Pittsburgh, PA based OEM plumbing part distributor regarding a dispute with a Texas based sales representative company related to alleged unpaid commissions. Represented Ohio based metal roofing manufacturer in litigation with Louisiana material distributor and obtained a judgment in excess of $700,000. Represented developer in protracted negotiation of Project Contract Documents with General Contractor for construction of state of the art community welcome center in Austin, Texas. Represented Houston based general contractors in breach of contract litigation against Project owner. Representation resulted in favorable settlement for general contractor. Represented Houston based mitigation contractor in litigation against Oklahoma based subcontractor regarding a breach of contract dispute in excess of $500,000. 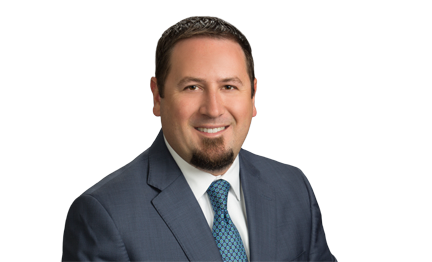 Representation included the successful defense of client from the enforcement of an Oklahoma Choice of Law and Venue provision, affirmed by the Oklahoma Supreme Court. Represented Dallas based concrete contractor in the preparation and perfection of a Restricted Appeal which resulted in favorable settlement for client. Represented San Antonio based glazing subcontractor in a $30 million dispute in Bryan-College Station, Texas involving construction defects and delay claims.